Ep 21: Joanna Kalafatis – Lose the Map on exploring a life of acting and travel blogging. Joanna Kalafatis is an actress living and working in Los Angeles as well as the travel blogger and photographer behind Lose the Map. When she’s not auditioning or acting she spends her time exploring other countries where she stays, eats and drinks with locals to really get to know the culture. 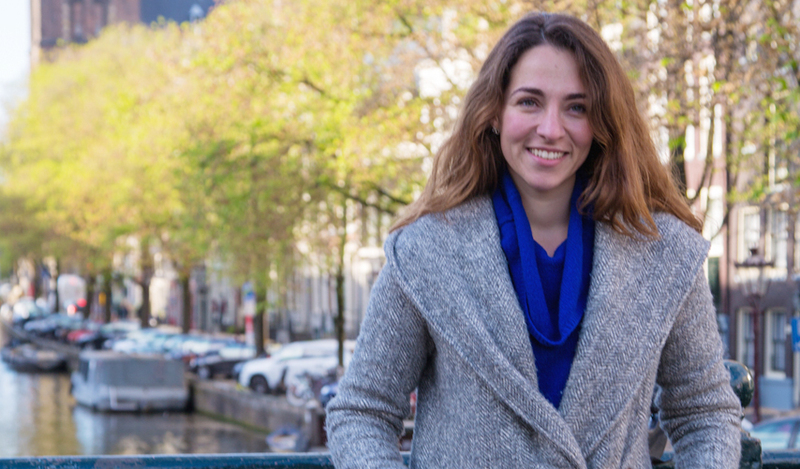 In this episode, we dive into Joanna’s journey into the creative arts, how an accident with a kombi taxi changed the way she looked at her life, what she’s learned from traveling solo, and how to write a captivating travel blog. We also talk about her love of acting, how to stay out of trouble while traveling, tips for moving to LA, and so much more. I had so much fun chatting with Joanna, and I think you will get a ton out of this conversation. Being alone in Japan is something I recommend everyone does at least once in their life. When you throw yourself into travel abroad alone, you come out more confident and more secure in yourself. When writing a travel blog, the more you can niche down the better. Write with a lot of personality. When moving to LA for acting or the arts, have longer expectations and stay at it. It’s a marathon. 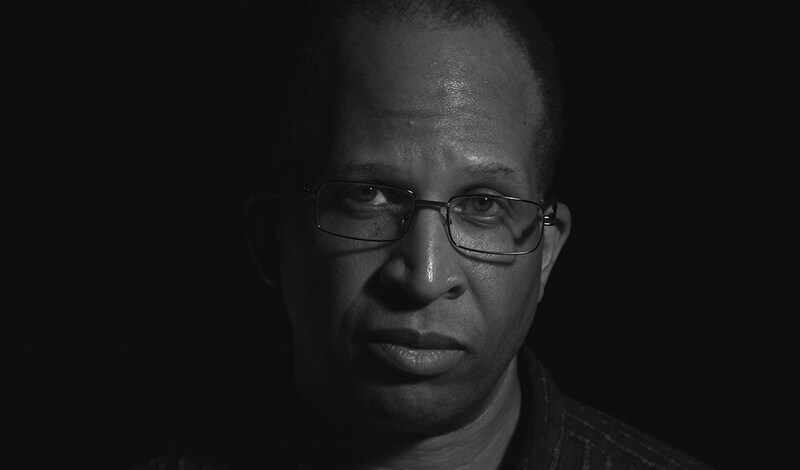 Ep 20: Daniel E. Williams – BGSU professor and indie filmmaker on making a study of cinema. Daniel E. Williams received his MFA in Film from Howard University in 1998 and in 2000 he won Best of Show at the Rosebud Film and Video Festival for his thesis film A Thousand Days a Year. He currently teaches film production at Bowling Green State University, while continuing to independently write, produce, and direct award-winning films. I even had the pleasure of working on his latest project, Autumn Blue, as the 1st AC. In this conversation, we dig into Daniel’s upbringing in St. Louis, his path through film school, and his process as an independent filmmaker. We get into Daniel’s thoughts on teaching filmmaking and what mistakes he sees beginning filmmakers make again and again. We talk about filmmaking as a craft, getting to know your equipment before you get on set, methods for improving your creativity and so much more. This episode is definitely worth the listen if you’re considering going to film school or becoming a filmmaker. Know what you are saying with your film. You don’t want to be the filmmaker that lacks an understanding of the ideology that is being expressed in your film. Bond with the equipment before you go on a shoot. The more you know how to use the equipment the more proficient you will be on set. Read the manual. Be knowledgeable of the history of cinema. Keep your textbooks and use the library. Watch films from the Criterion Collection. On set, as in life, listen to your conscience. If your inner voice is speaking to you, pay attention. As the director, even if you don’t make the right choice you have to be confident in that choice. You are the leader and your emotions and moods trickle down to the rest of the cast and crew. Get away from film for periods of time. Expose yourself to other things, read widely, and experiment with other art forms. These become fuel for your work. Written and Directed by Daniel E. Williams. Produced by the BGSU Department of Theatre & Film. Man Bike World Pt. 2 – Halfway down the Great Divide Trail. Bicycles, bears, friends and fires. This is a special mini-episode of Odyssey and Muse where we check in with people that are about to embark on or are in the middle of an adventure around the world. In this episode I catch up with Russ McCoy of Man Bike World. Russ is in the midst of his Great Divide Mountain Bike Tour. I interviewed him back in July just before he shoved off. If you haven’t listened to that episode you can catch up here. Russ began his tour in Banff, Canada and has traveled through Montana, Idaho and is most of the way through Wyoming. In this conversation, we talk about his early encounter with grizzly bears, his misfortunes with bear spray, his new friends on the trail, how his gear and body are both holding up, and about all of the amazing sites seen and experiences had. We’re planning to catch up with Russ when he reaches the end of his 2,745 mile journey, so make sure to check back for updates. If you’re going to be in grizzly bear country, it can pay to have a can of bear spray. Be careful how you store your bear spray. If you puncture the can it can be bad news for you. If you’re riding the Great Divide Trail try to stay at Barbara’s Cyclist Only Cabin. Man Bike World Pt. 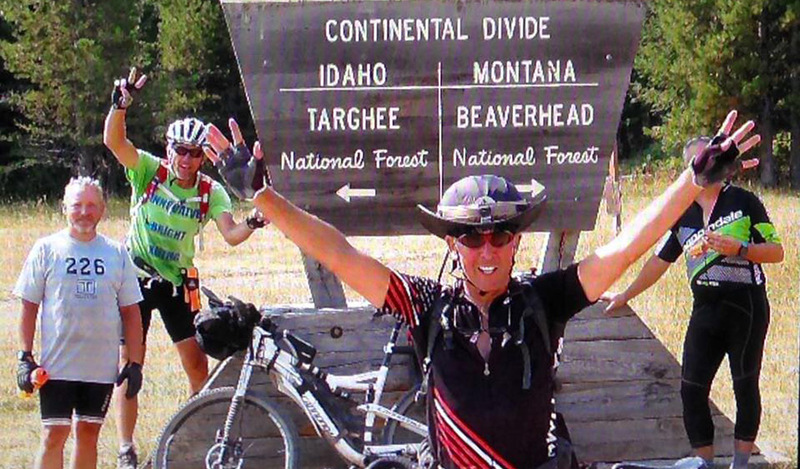 1 – Russ McCoy on bears, bikes and his approaching Great Divide tour.